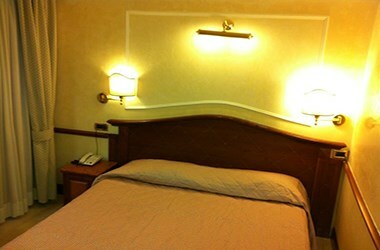 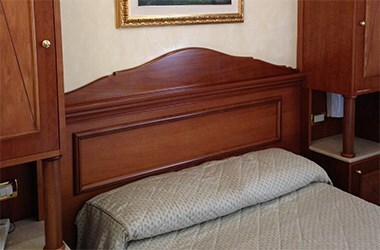 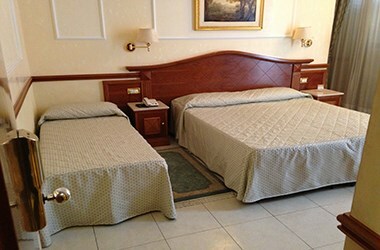 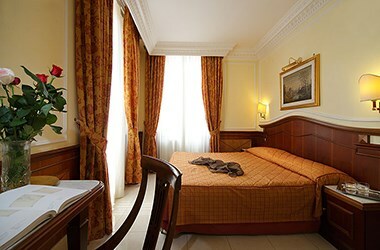 Offered in a variety of layouts - single, double, triple and quadruple – the environments satisfy our guests' every need. 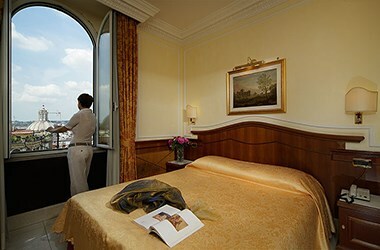 Some with a splendid view of Rome and the Altare della Patria ("Altar of the Homeland"), the 42 rooms of the 3-star Hotel Hiberia are silent and enveloped in a relaxing atmosphere, a convenient choice for business clients who wish to reside near the heart of the city. 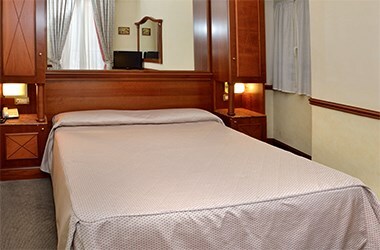 Elegant, some with a view of Roma, soundproof and complete with all amenities, air conditioning, satellite TV and ADSL internet. 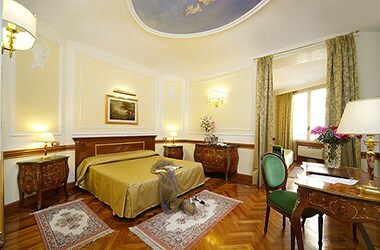 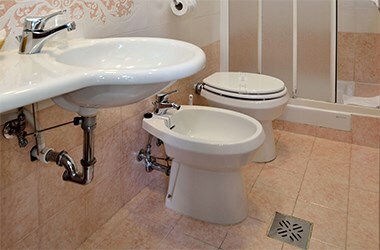 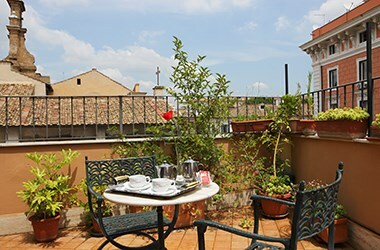 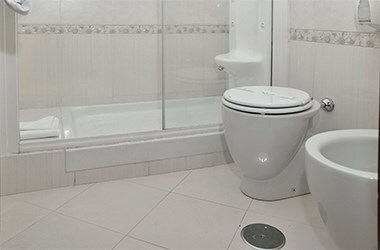 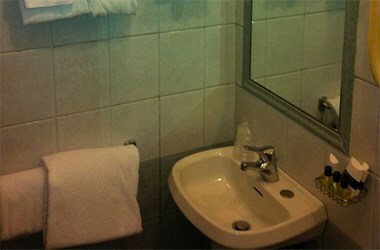 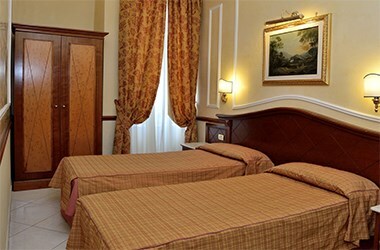 Spacious and welcoming, with a view of Roma, soundproof and complete with all amenities; baths with splendid decorations. 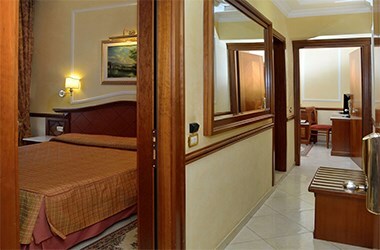 Ideal for family vacations of for two couples; composed of hall, two double rooms, bath with independent access. 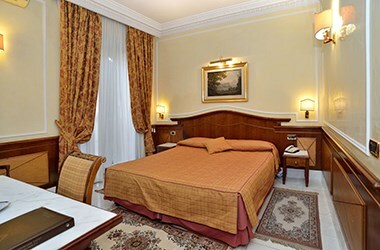 Exclusive lodgings, maximum amenities, composed of sitting room, bedroom, bath. 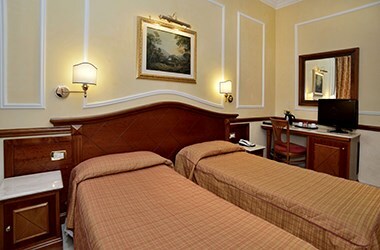 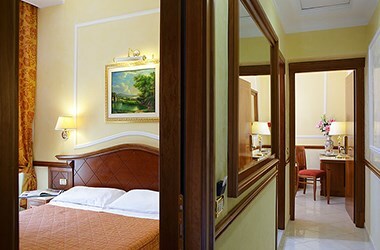 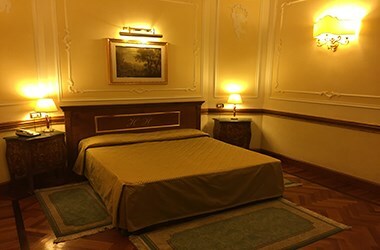 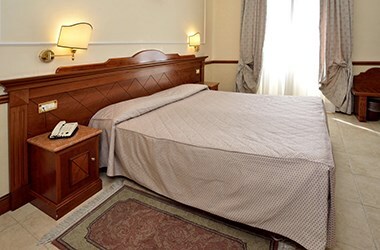 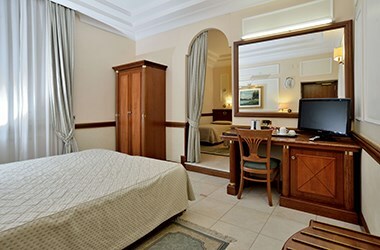 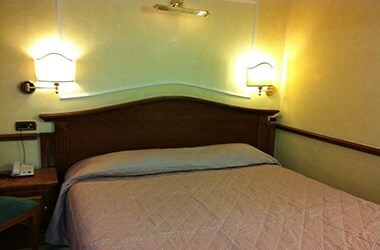 The Double room with private external bathroom is a budget room and offers all the necessary comfort as well as the other rooms in order to enjoy your stay in the heart of the "Eternal City" except for the bathroom that is located outside near the bedroom at only few steps away. 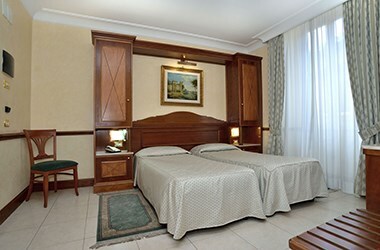 The room is located in the quite side of the hotel and has no city view. 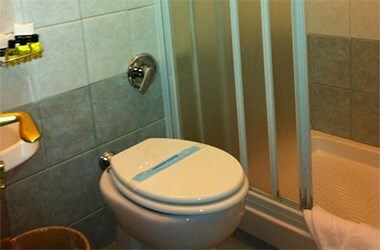 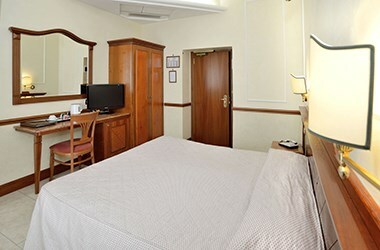 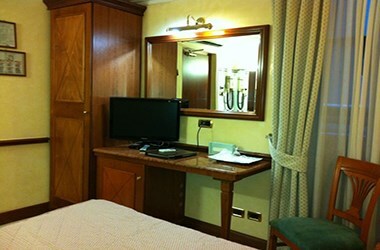 This air-conditioned room features an en suite bathroom, carpeted or parquet floors and a flat-screen TV.